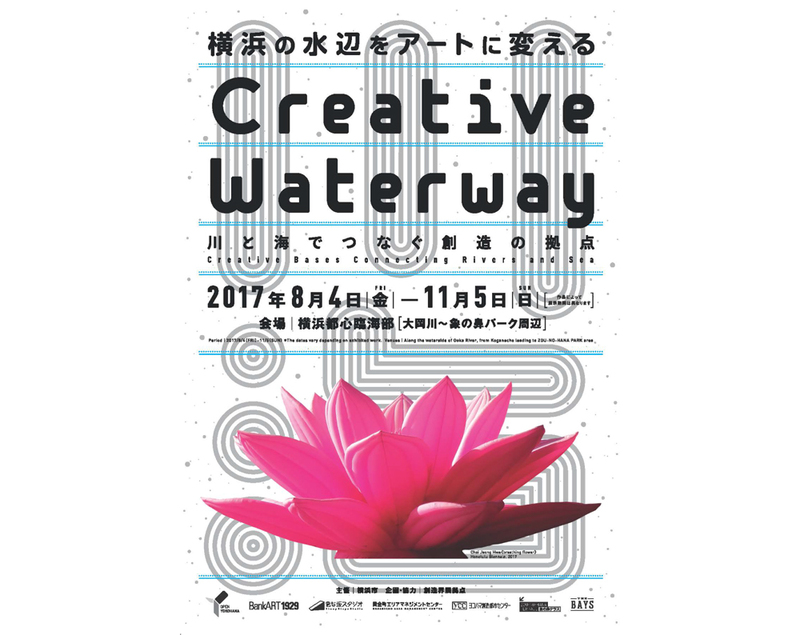 "Creative Waterway -Creative Bases Connecting Rivers and Sea"; is an outdoor exhibition that connect 6 "Creative Core Area Bases（*）" through the river and the sea. The exhibiton presents artworks installed by the sea and the Ooka River in the Yokohama's Central Seaside Area. Together with the staging of "Yokohama Triennale 2017", the project will energize the whole city of Yokohama. In addition to the exhibition of artworks, the program also run art cruise, which becomes a venue to enjoy theatre performances as well as artworks installed along the riverside. Enjoy the waterside of Yokohama transformed by various creative works of art!